Quality paper stock! 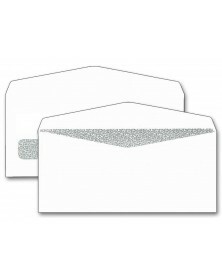 Crisp, bright white wove stock enhances your professional image. Save time. 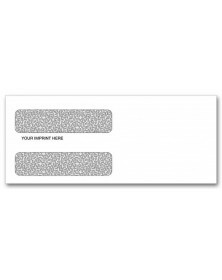 Recipient's address and your preprinted return address show clearly through 2-window DU-O-VUE design. 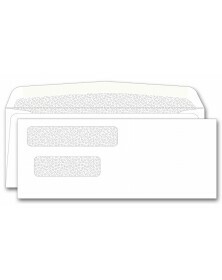 No need to hand-address or print envelopes. Quick closure. 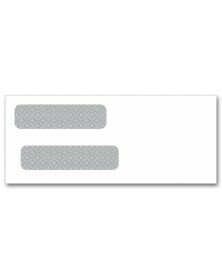 Save a step while closing every envelope quickly and cleanly with this self-seal flap. 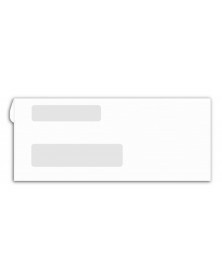 If you are looking for window envelopes for your business mailing requirements, you can be sure that you will get the best that is available, here. 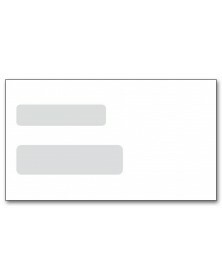 The transparent panel is a great way to save time. 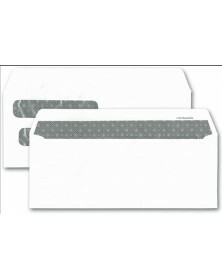 At Printez.com, we offer a large variety of mail cover options. All of these options are available in various sizes and styles. 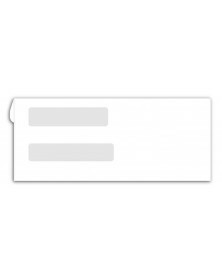 Among the many options you can get a self seal, if that us what you are looking for. Make the best of the great prices that we have to offer and make sure to check out the amazing deals that are currently on. 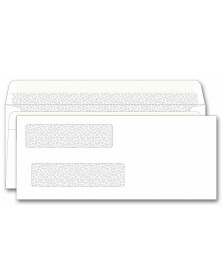 Window mail covers are popular with almost all businesses Most of the mailing staff prefers to use this irrespective of whether they are using a #9 or a #10 double window. 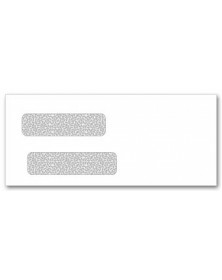 This is because it saves precious time trying to print labels or print covers on a printing machine with the recipients address. 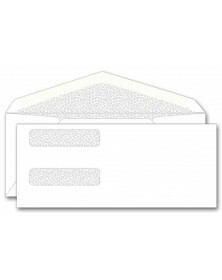 In most cases, a business letter includes the name and address of the recipient on the top part of the letter. Folded well this is the part that can fit in exactly where the mail cover is. Not only does this save time, it reduces the amount of ink that you use and the paper too. At PrintE-Z, we give you all the luxury and flexibility that you need to create your own cover. From getting our designers to create a business logo for you for free or calling up for volume discounts, PrintE-Z provides the best custom experience ever. You can practically design your own to suit your business needs. 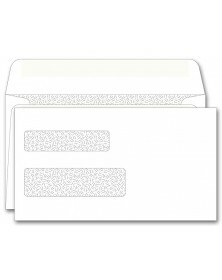 A variety of sizes and an array of options such as self-seal, return envelopes and more are benefits that you get when you order with PrintE-Z. You can be sure that your business continuity will not suffer – so fast is our delivery system.